Just hours after head coach Doug McKay resigned, MK Lightning ended their seven game losing streak in emphatic fashion with a 6-1 thrashing of Glasgow Clan at Planet Ice. Their record breaking run had seen the Lightning faithful without a victory to celebrate since October 21, and ultimately cost McKay his job, despite citing 'personal reasons' for his resignation. 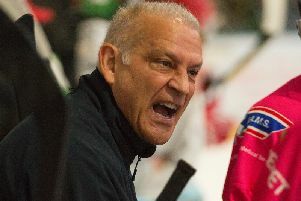 On the opposing bench was former coach Pete Russell too, the man who led Lightning into the Elite League last season having won the English Premier League and Cup double. It was all set up to be a difficult night. But just two minute into the game, Robbie Baillargeon fired Lighting into the lead as he raced onto the end of Eric Neiley's pass. 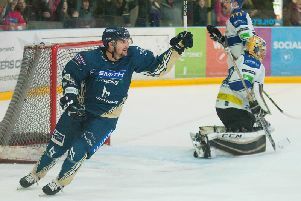 Two minutes later, Lightning capitalised on a five-on-three powerplay when Tim Wallace doubled their advantage. A minute before the first break, Clan pulled one back through Matt Stanisz to make it 2-1. Clan's penalties were beginning to cost them early in the second period, and once again as they were down to four, Lightning capitalised to restore their two goal lead, this time with Wallace on the assist for Georgs Golovkovs to net on 27 minutes. It was another five-on-three five minutes later that allowed Lightning to go 4-1 up, with Wallace again firing home this time an Andreas Valdix assist. Into the final period, Lightning scored yet another powerplay goal when Scott Pitt was boxed up, Neiley scoring the home side's fifth of the evening with 12 minutes remaining. The sixth came a little over a minute later with a fine solo effort from Golovkovs. Lightning travel to Scotland this Saturday for the return fixture against Glasgow, before entertaining Coventry Blave at Planet Ice on Sunday - face-off at 5.15pm.